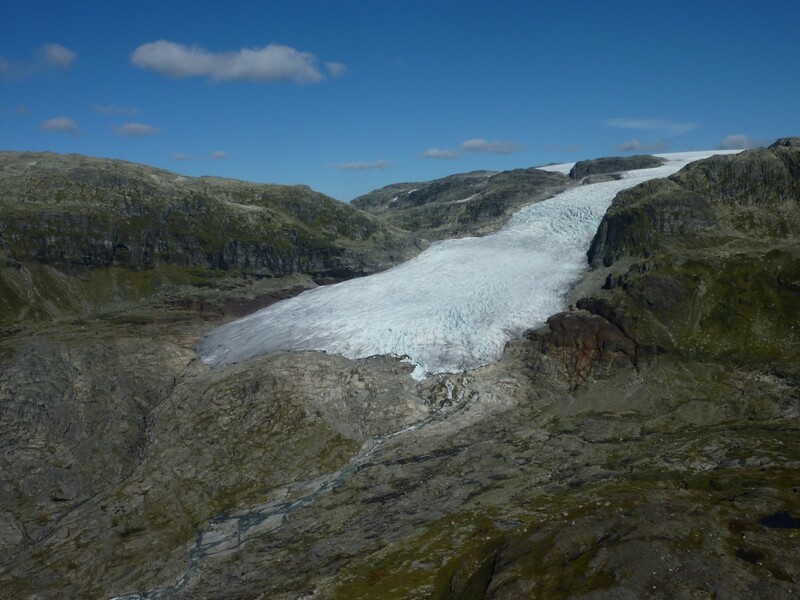 The south-west-facing Rembesdalskåka (17 km2) is the largest outlet glacier from Hardangerjøkulen. The glacier drains to Simadalen and Hardangerfjorden. 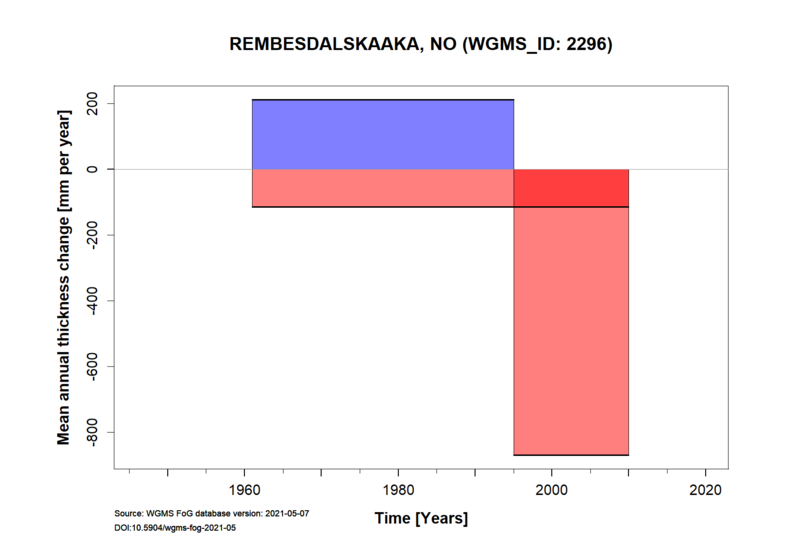 Rembesdalskåka is damming the lake Demmevatnet which historically has been the source of several GLOF’s, the latest in 1938. Due to glacier recession, several GLOF’s have occurred since 2014. 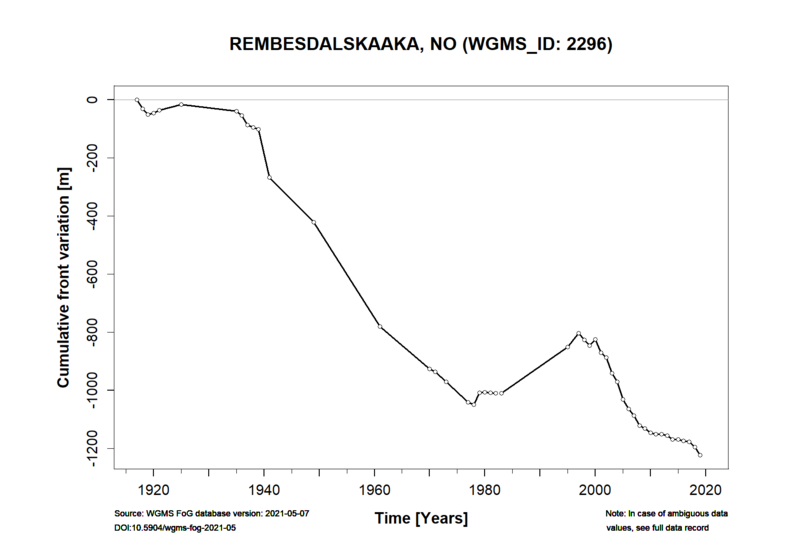 Glaciological investigations include mass balance observations since 1963 and glacier length change measurements since 1917. 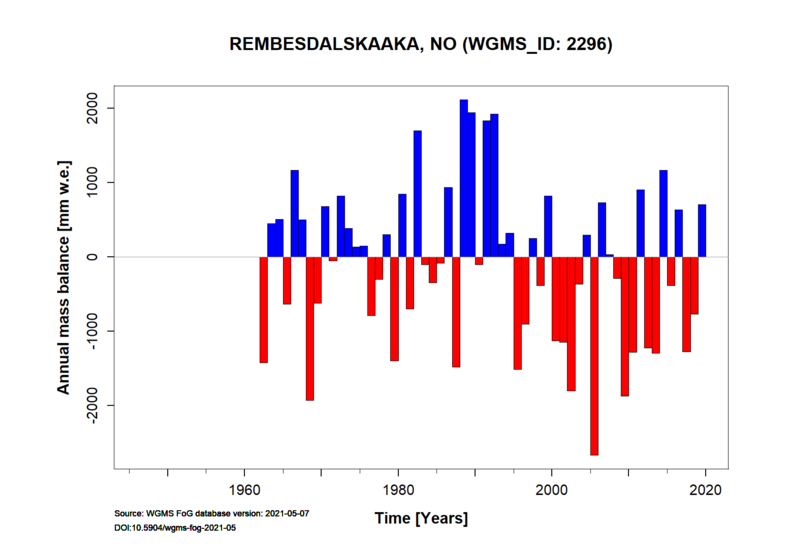 Further information and references for Rembesdalskåka is given on NVE’s webpage. Height min: 1066 m a.s.l. Height max: 1854 m a.s.l.